And right he was, as Napuri accomplished his third straight victory via TKO (technical knockout), this time through a sequence of beautiful yet devastating Muay Thai knee strikes to the body (one announcer even labeling the knees as “straight from hell”). Napuri smiles as he recalls sparring with his coach as a youngster, laughing out an admission that “I used to tear up. Like I straight up wanted to cry. Coach’s shins were so much harder than mine”. Cut to a decade later and the slow and painful process of breaking down and building up bone tissue has rewarded Napuri with some serious shins to be reckoned with! That every contest of Napuri’s young career has been stopped by the referee in his favor is a testament to the burgeoning professional’s ferocity of heart - a characteristic that is also on full display during his strength and conditioning sessions with his trainers here at Studio Physique Athletic Club. However, while on paper this fight is merely déjà vu of the two before it, the win this month felt somehow different - elevated, even. With two successful bouts already under his belt, the young fighter showed the extra levels of composure and maturity that come with experience. It was as if the novelty and nerves of being in the octagon for the first time melted away, and the result was the pure expression of an artist lost in the joy of his own process. Napuri faced, as per usual, a larger opponent, who was actually coming off of a multiple fight winning streak himself. The opponent’s cheering section was sizable, but they themselves could not hold back signs of being impressed, even entertained by Napuri’s artful display of striking. 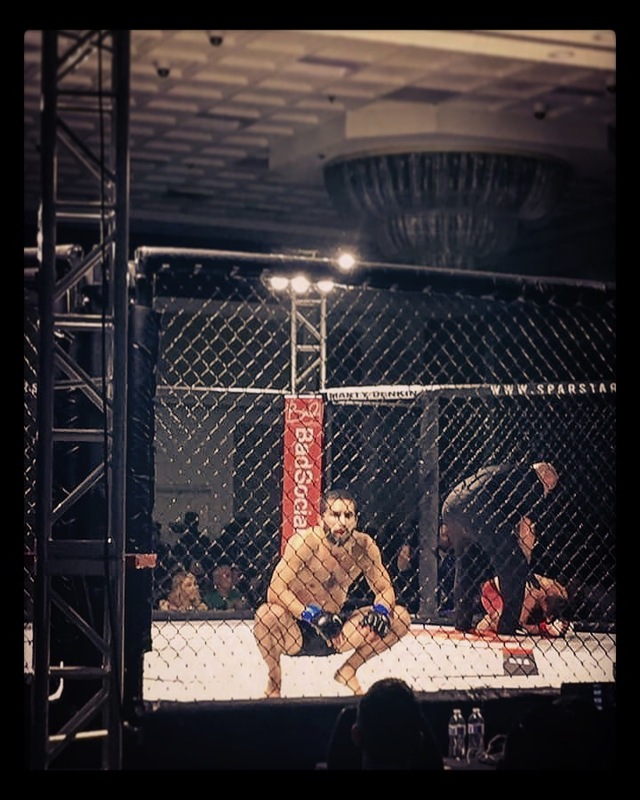 With now three consecutive TKOs to start off his MMA journey and a natural showmanship/artistic flare that is capturing the imaginations of his growing audience, one can’t help but feel that, perhaps, they are seeing the beginnings of an athlete with some bigger stages and brighter lights in his future.